Oooh! 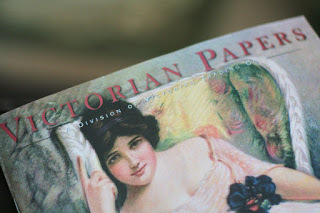 I always get SO excited when Mr. U brings in the mail and a new catalog from Victorian Trading Company arrives! They have some lovely, feminine Victorian items in there!! You can be sure to find me with the catalog and a cup of tea while I enjoy the catalog! It looks like a really nice read, enjoy! Yes, tea goes really well with this sort of read. Or any kind for that matter! I love this catalog, too. I get really excited when it comes in the mail, even though I have never ordered anything. I bought a beautiful silk scarf with old letters on it from them that I love.